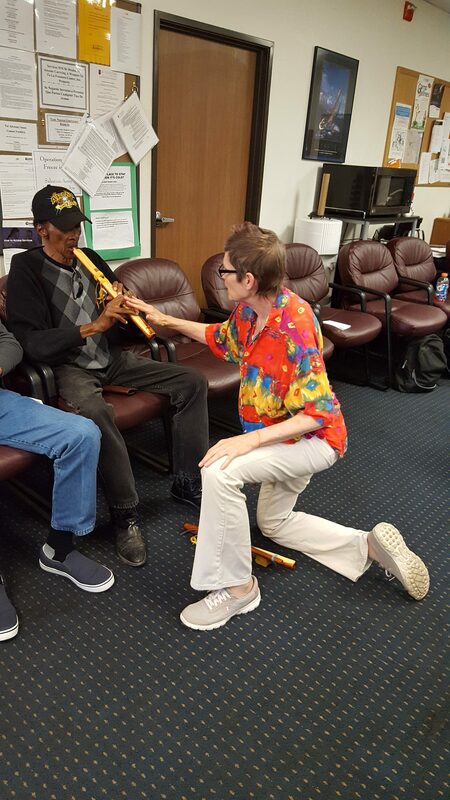 Twinfeathers is adept at sharing Native American Flute (NAF) music in diverse contexts. 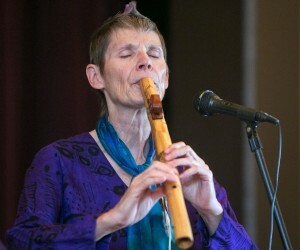 She is able to play a wide variety of styles of music, either solo or accompanying other instruments, as background for ceremonies, readings and storytelling, or as a featured performer. 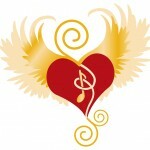 Twinfeathers is a natural teacher and has been teaching NAF for over 17 years. Her teaching methods are such that after only a two hour playshop, students express delight and amazement that they can already play simple melodies.